I like to keep up with the news, so here's an item from 1888! Ghostly sightings in New York were reported. 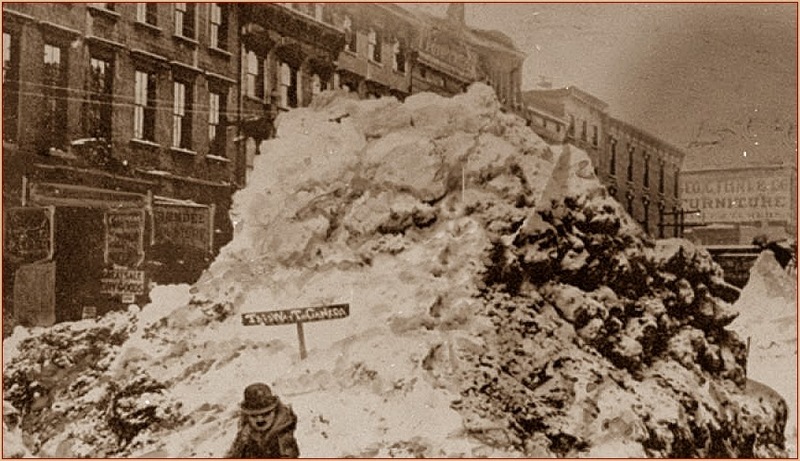 New York February 14, 1888. City Island in winter is a desolate spot. The sound about it is frozen inches thick, and the fishing smacks that make the summer harbour a happy scene are fast and helpless. Cold winds sweep across the flat waste. The snow lies unshovelled on the sidewalks, and half the houses are empty. Miss Allie Sturgis, rosy cheeked and 18, who serves customers with fresh rolls on the counter of Weber's bakery, was much frightened by a spectral apparition late at night, which rapidly approached her over an adjoining field. This ghost, although it was described by Miss Sturgis as a little one, was much talked about, but now it has given place to another, a six footer. The present ghost did not appear until the bay between the town and Hart Island was a firm and solid sheet of ice. A jolly crowd had been sledding down the only hill in town, behind the post-office. Will Darling was returning late from the sledding party, when he saw a sight that made his blood run cold. It was on Main Street but the street was deserted and dark. What it was he never told, except that it was white and tall, and rolled along above the ground, never seeming to touch it. He ran, and did not see the thing again. 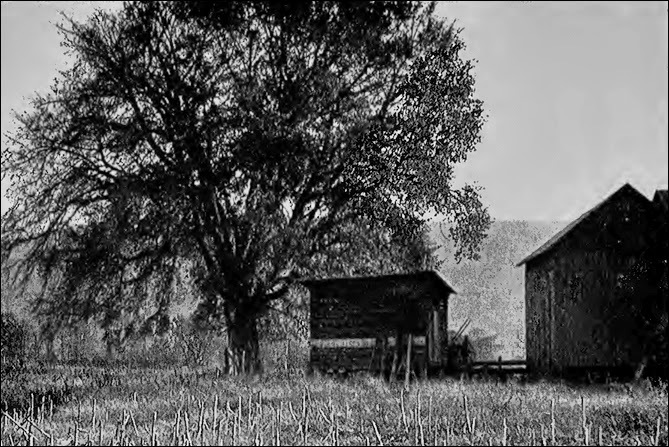 But that same night it appeared to William Applebaugh, a telegraph operator in the signal service office, and it either pushed him or frightened him, so that he fell into a snow drift on the road side. Appleburgh never seemed certain whether he fell from a push or because the creature frightened him. Later that same night Will Drayton, son of a hardware merchant in town, caught sight of a tall, grayish white something in the street opposite Liviness's hotel. It seemed to move along about three feet from the ground, but what form its form and appearance was never told, because he never knew. He says the night was dark, and he ran after the first glance. On Thursday night Stephen Collins saw a strange sight in Prospect Avenue, opposite the Vail property. He could not describe the appearance, except to say it was white and tall and motionless. His home was nearby, and he quickly got indoors, and did not venture out until morning. He told the story the next day, and on top of the visions seen by others it created much talk. Collins told them it did not stand upon the ground, It seemed suspended several feet in the air. That was all he had time to notice. On Friday last more fuel was added to the popular flame. Eugene Hallett was coming home late at night, and a dismally dark night it was. Right opposite Flynn's ice house at the Forks he saw the same white apparition. It was a good half mile from home, but Hallett started at a hundred-yard pace. 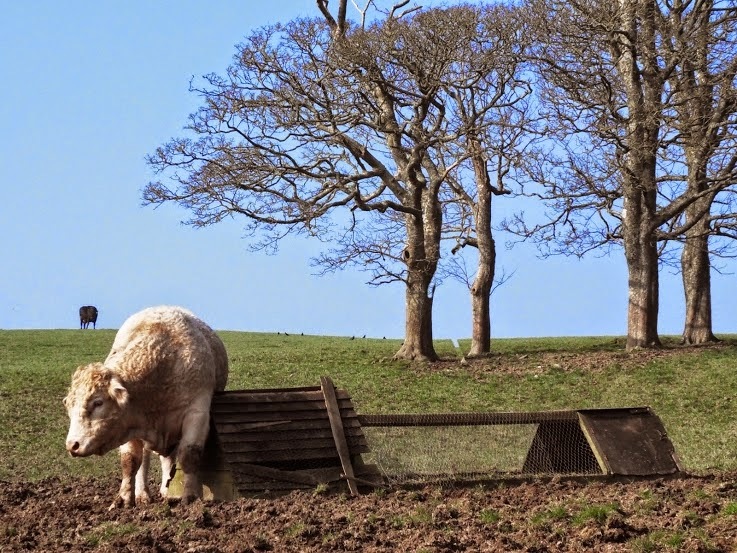 He said next morning that the white being followed him, rolling along over the ground without seeming to touch it. The last time the spectre was seen was on Sunday night. Dave Liviness saw a ghost blacker than the night on which he saw it. He was passing Von Liehn's hotel and was not thinking of ghosts at all, when he suddenly noticed something tall and black and strange on the bathing pavilion. It was six feet tall at the very least and looked like a woman's form, except that he could see no face. He stopped, and the thing moved toward him. It seemed suspended in the air. He could see a glint of water in the dim starlight under the spectre. He was rooted to the spot in terror for a moment, but as the thing approached he gained strength and ran as never he ran before. He looked around and saw it following, and finally when he reached home he was completely exhausted. The Justice of the Peace, Peter Martin, said, "Oh, there's ground for it, of course: something is scaring folks. If it continues, I'm going to get detectives out and sift the thing to the bottom. It won't do to have women and children scared out of their wits." More glimpses of Cornwall today. Above is the Truro River and on a cloudy late afternoon. 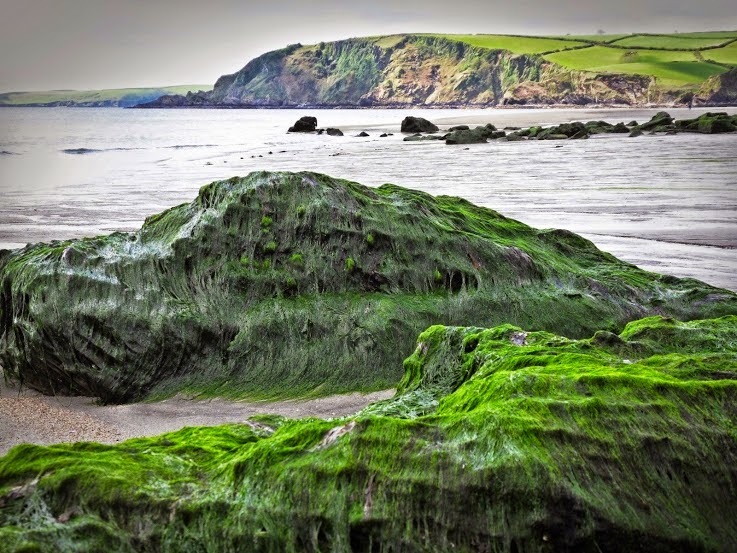 And below the tide is out on a grey-day at Pentewan Beach leaving the green cladded rocks exposed. 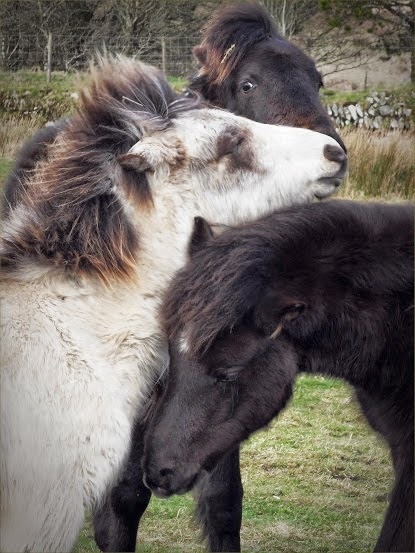 Menabilly, Cornwall - Du Maurier Country"
The ponies below roam free on Bodmin Moor, Cornwall often gathering together in groups - some can get quite frisky! 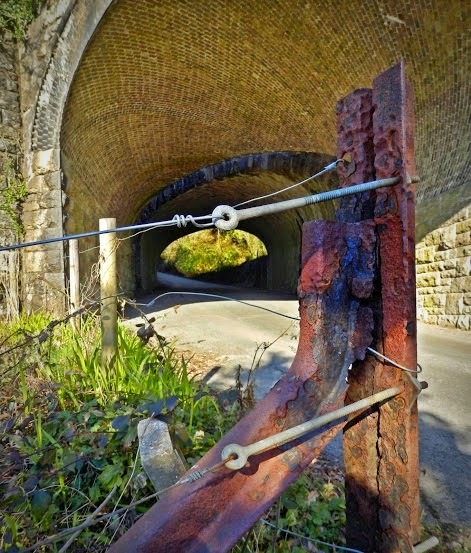 And finally part of the Cornwall section of the South-West Coast Path. I took this photo from Gribbin Head. A lovely place for walkers. 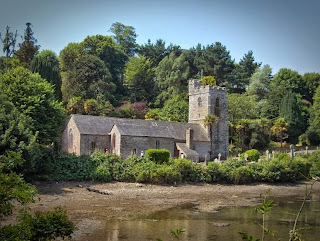 More Glimpses of Cornwall here and here or enter Cornwall into the search box at the top of the blog for many posts on Cornwall. Mike, I had a postcard coincidence which was very strange. I was looking after a friend's house while he was away on holiday. One of the things I did was to pick up his post and put it onto the kitchen table for when he returned. One day there was a postcard amongst his mail. I know I shouldn't have, but I read the back of the card and noticed it was from a Rob Johnson, which just happens to be my name! 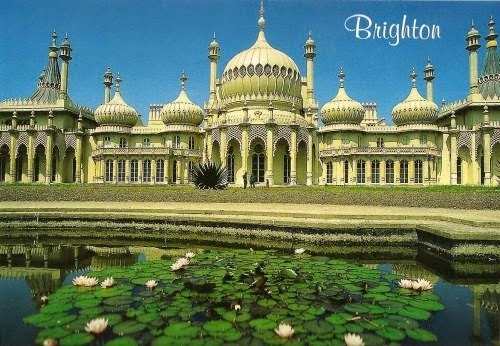 A coincidence, but there was more as the photo on the other side of the card was of Brighton where I was born. I now live in Manchester. The next one I got from an old newspaper, but I didn't make a note of the details. "Times Realty editor Doug Doubleday bought a picture postcard of the Kalamazoo, Mich, County courthouse to send while on vacation. Taking a good look at the postcard he was surprised to discover that the man in the foreground was his own dad!" Marguerite Brokaw, from Sarasota, was travelling by bus to visit her son. She fell into conversation with the woman in the seat next to her. They happened to remark on how easy some names were to pronounce and remember and how difficult were others. "I wish I had an easy name. Mine is so often mispronounced and misspelled," said Mrs. Brokaw. "That's the trouble with my name too. I'm always having to correct people on its spelling and how to pronounce it. What is your name?" she asked. "Brokaw," answered Marguerite. "What is your name?" "Brokaw!" answered the other woman. They continued talking and discovered they were related by marriage and that both their fathers went to the USA from France. 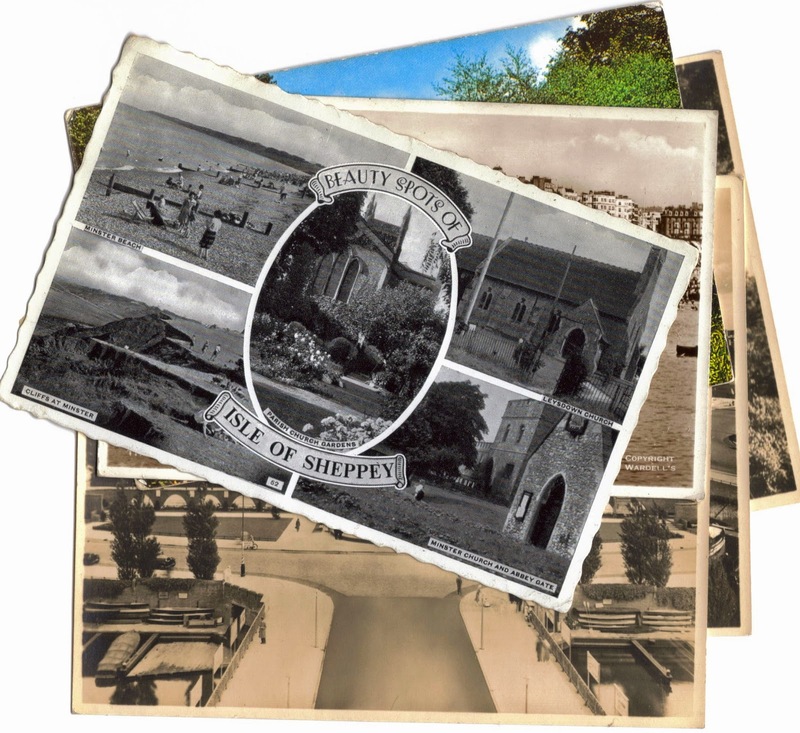 Here's a coincidence story about a picture postcard found a long way from home. "Looking through some old postcards at an antique show in Winter Haven, one of them had a picture of Illinois College, which is located in Jacksonville, Illinois. Since my younger sister had graduated from this college, I asked the price. The salesperson told me the price was listed in pencil on the back. When I turned it over, I notice the postmark dated either, 1932 or 1942, The printing had obscured the date. The sales lady finally said that it was postmarked March 9, 1942, in Winchester, Ill. I began to get excited. The postcard with a picture of the college where my sister graduated, was also postmarked in the year of her birth. Some coincidence, huh? Well there's more. Both my two parents, my two brothers and myself and other relatives were born in Winchester. So, naturally, I glanced at the signature to see who had written the card. Of all things, it had been written by my Dad's brother, Uncle Joe. What a shock. 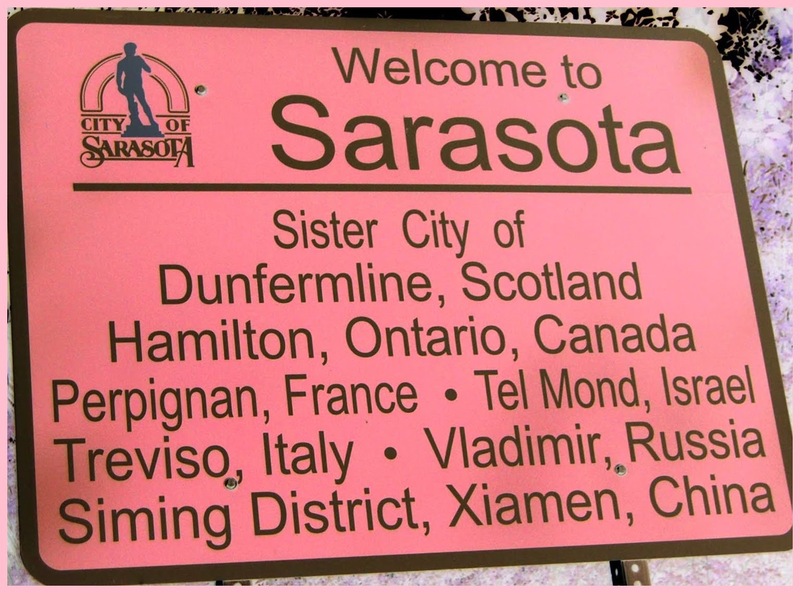 I had lived in Illinois for about 47 years, moved to Winter Haven and found a postcard, at an antique show, that was written by my uncle many years ago." It does appear that postcards and coincidence, or synchronicity go hand in hand. Here's a few more examples. Here's a story I found interesting - yes, it's old, but perhaps timeless. Back in 1901 a pauper hearing was scheduled in Augusta, but the man concerned, named as W.H Davis, thought they would commit him to the insane asylum. So, perhaps wisely, he absconded. The police decided to take him away to the City Building where they locked him up in a cell and left him to his own reflections till morning. Morning came and they questioned him as to why he was disturbing the peace at the boarding house. "Why," said he, in a most matter-of-fact manner, "my father died last night at twelve-o-clock, and I had to make his last minutes easier." The police thought this was simply the ravings of a man out of control. They handed Davis over to the overseer of the poor who made made enquiries about his past life. His previous life was traced to being at Mattawamkeag. Communications were made and they then discovered that Davis's father had lived in the town of Winn. Remarkably, the father had died on the stroke of midnight while his son was in Augusta and lost his mental balance and claimed that he was up making his father's last hours easier. The officials were amazed but decided this was only a coincidence - one of those combinations of circumstances and insanity. "When Davis was asked how he knew that his father was dead, he said it was communicated to him by way of the X-ray process. He then went on and detailed how he had been taking the treatment for a long time and had been greatly benefited. He told with great minuteness how the electric currents felt and what their effect was on his system. So much in earnest was the prisoner that the police called in a local physician that he might hear the recital. 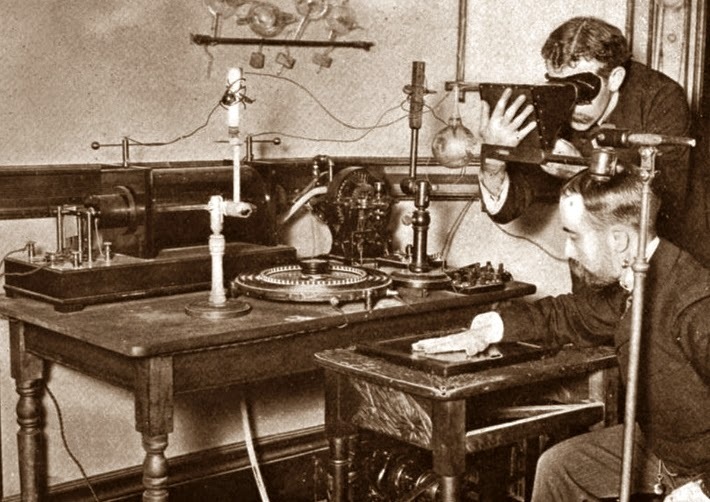 The physician listened attentively and said at the conclusion that it was remarkable, in that Davis had exactly described the sensation and working of the subtle rays from the Roentgen machine." Source: Lewiston Evening Journal September 13, 1901. So what was it? Telepathy? Spirit communication? And how does the Roentgen machine fit into the story? 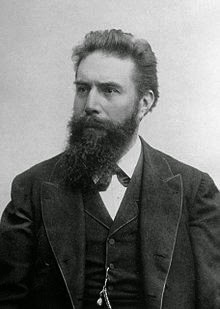 X-rays were said to have been discovered by Wilhelm Conrad Röntgen, a German physicist, on November 8, 1895. 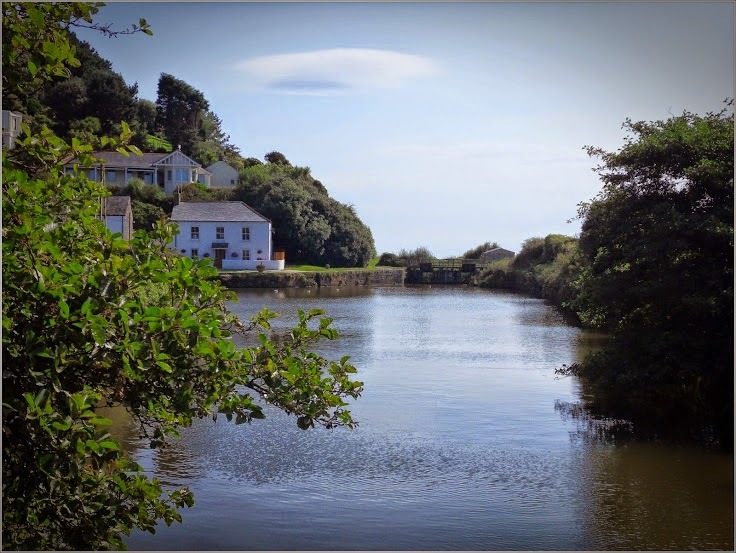 Photos I have snapped of Cornwall, where I live. 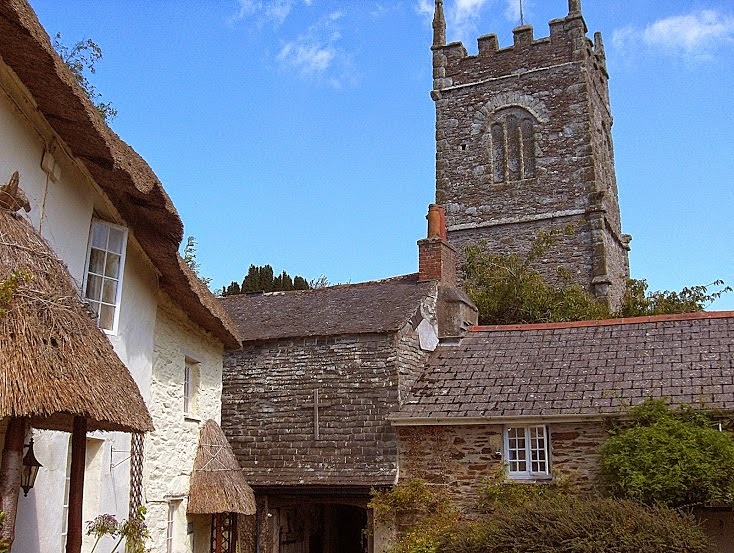 Below, the small village of St. Clement in Cornwall, situated in the valley of the Tresillian River. 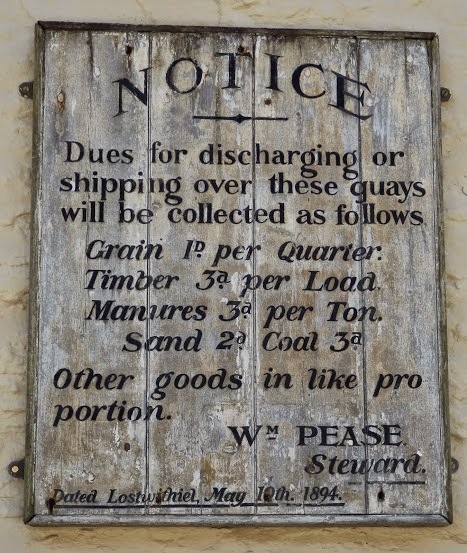 An old Notice from 1894 showing various shipping charges for the Fowey River, Cornwall. 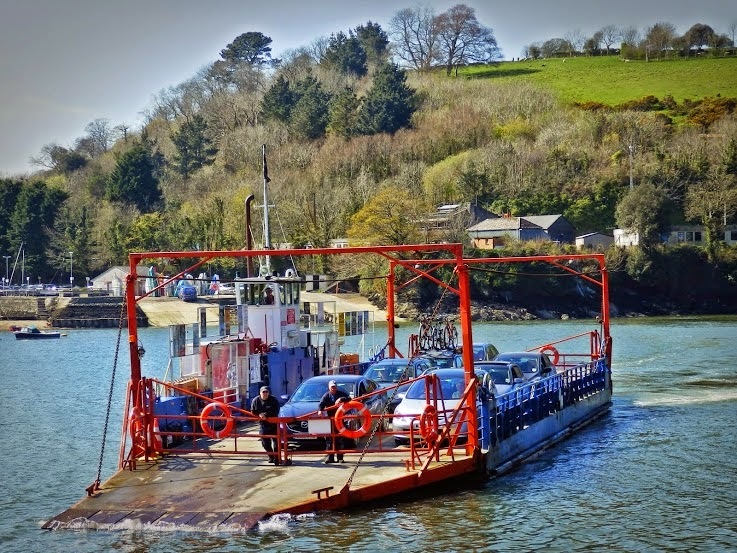 The Bodinnick ferry which travels across the Fowey River from Bodinnick to the town of Fowey and return. Carries cars and foot passengers. 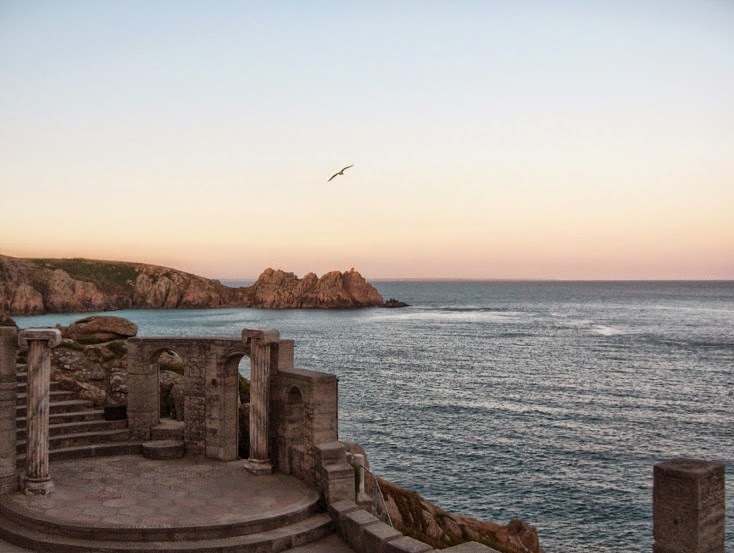 The wonderful Minack Theatre at Porthcurno, Cornwall. An amazing venue to enjoy a play, with the sea and cliffs as a backdrop - in the summer, of course! Aluminium: there's something I never thought I would write about on this blog! 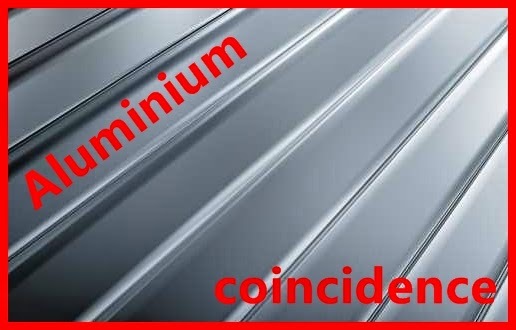 But now I've discovered a coincidence regarding aluminium. First, a brief history about the metal. In 1825 a Danish scientist, Hans Christian Oersted. became aware of aluminium while working in his laboratory. Around 1845 a German scientist, Frederich Wohler learned how to make it, but only in very small quantities and at a very expensive cost. In the February of 1886, when two things happened simultaneously, on opposite sides of the Atlantic. Charles Martin Hall, the son of a minister, was working in a woodshed laboratory in Ohio, USA on an experiment that had seemingly intrigued him for many years. At the same time, in a makeshift laboratory, in a corner of his father's tannery in Paris Paul Heroult was doing the same thing. Both men were 23 years old. Working independently of each other, and with no knowledge that the other existed, they each worked away through the challenges that had defied earlier attempts to make aluminium commercially viable. Then, at the same time, they both succeeded. 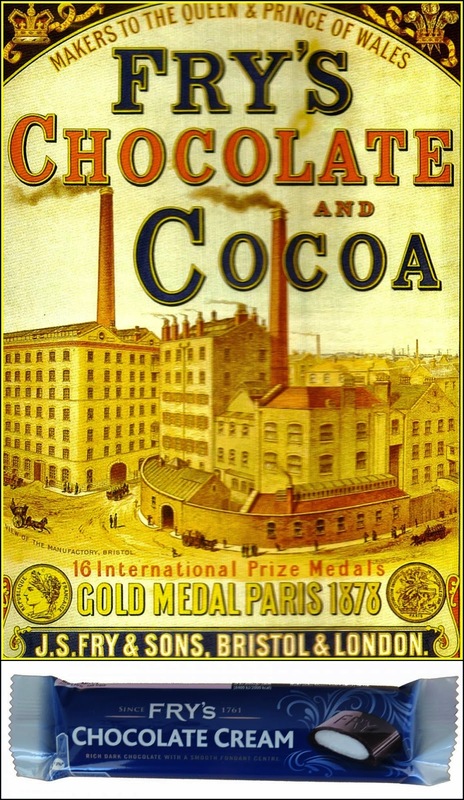 It became the birth of an important international aluminium industry. The interesting bit is how often similar 'coincidences' like this happen with many new inventions. Often there are disputes as to who actually invented something or other. How does this happen? 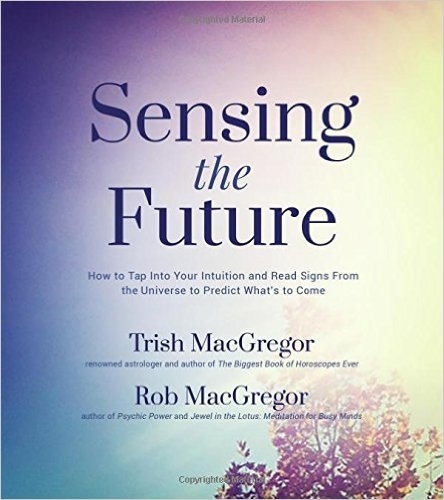 "When you or I are thinking along the same general line we are in a current of thought, which is one of those in the Universal Consciousness; and because your mind and mine are attached to this current, we are for the time being receiving in unison the same ideas. Plagiarism may be often explained in this manner. ... Inventors often get into the same current of thought, and work along similar lines, and then suddenly startle the public with inventions of a like nature, each inventor declares himself the sole discoverer of the thing invented." Now imagine if we could consciously attach ourselves to such currents of thought - the world would be our oyster. Well maybe not oyster as I'm vegetarian, but you get the general idea. 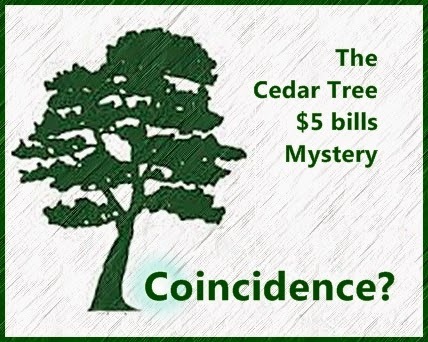 A true coincidence story today, but is it simply coincidence? Much more could be involved, dependent on beliefs. One night during the war in the Pacific, an American bomber piloted by Major Allen Lindberg of Westfields NJ, was returning to its base in Australia when one of the four engines conked out. The huge plane began a slow, gentle dive toward the sea, 20,000 feet below. Shortly before dawn, it crashed. The nine crew members scrambled into two rubber life rafts, but had no time to provide themselves with either food or fresh water. When daylight came, the plane was gone, and the two rubber boats, dangerously overloaded, floated idly on the surface of the sea. According to the navigator, the nearest land was hundreds of miles away. They had no oars, so they paddled with their hands - until sharks appeared. Then they gave up and just drifted. They drifted all that day and all that night. The next morning the sea was still empty as ever, and the tropic sun beat down with unmitogated fury. Their lips were so badly cracked and their tongues so swollen from thirst they could barely speak. Two weeks later, the nine men were picked up by a patrol plane and returned to their base in Australia. By pure coincidene, their plane had crashed right in the middle of an ocean current. By coincidence that current flowed right past the island. But that island was uninhabited. 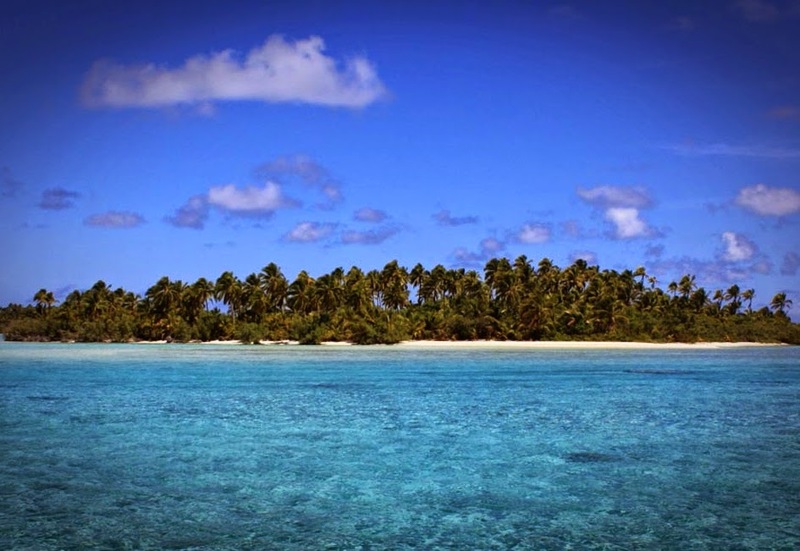 The natives who rescued them lived on another island, over a hundred miles away. While out fishing, they had felt a sudden impulse to visit this particular island - a thing they hadn't done in years. They had arrived only a few hours before the current bore the two rafts virtually into their arms. Coincidence? Synchronicity? Or maybe some other power entirely. Who knows? 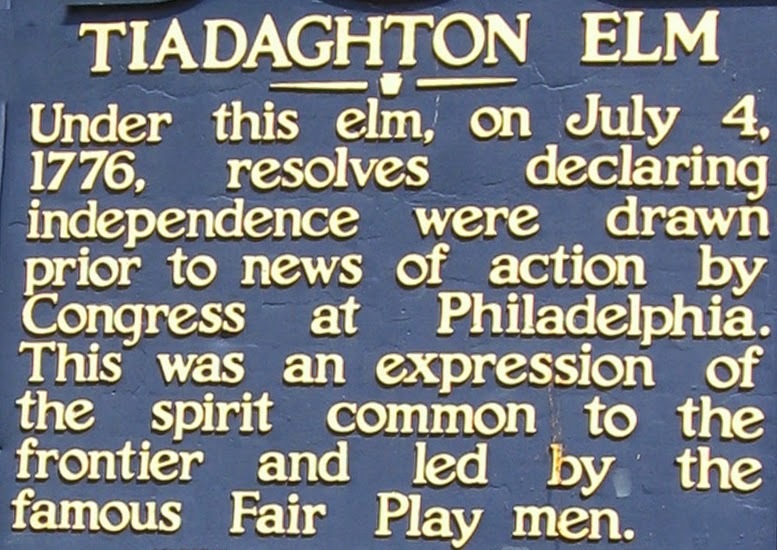 In yesterdays post I mentioned a coincidence regarding the US Declaration of Independence. Here's another one linked to the same subject. I hadn't heard of it previously but, again, it may be well known in the USA. 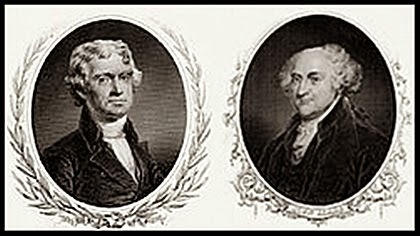 As the US were celebrating their 50th year of Independence on July 4, 1826 two of it's former Presidents died on that day: Thomas Jefferson and John Adams. This seems quite amazing that exactly 50 years after they both affixed their signatures to the Declaration of Independence, they would both die. It's almost as if they had a pact to do so - which they didn't of course. Jefferson was 83 and Adams 90. John Adams was the second US President from March 4, 1797 to March 4, 1801 and Thomas Jefferson the third US President from March 4, 1801 to March 4, 1809. Were The World Wars And World War III Planned By The Illuminati? 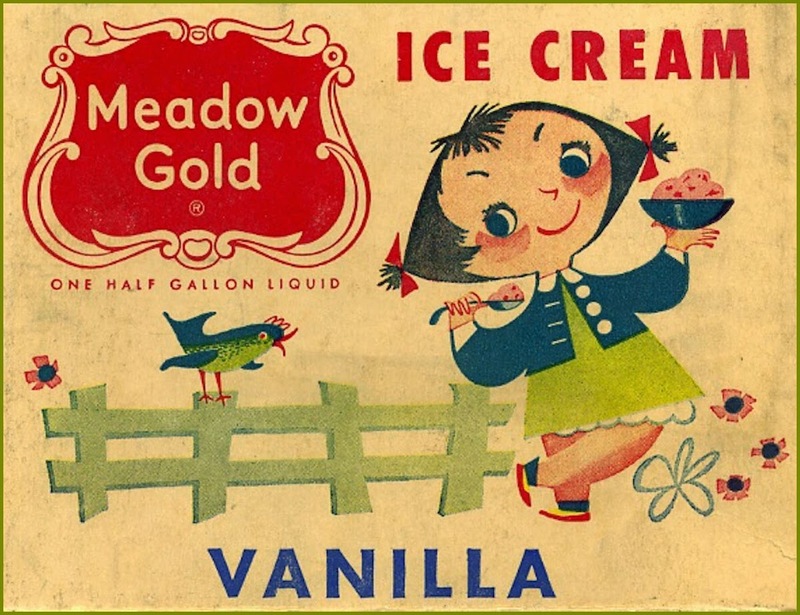 More vintage illustrations - this time advertising. 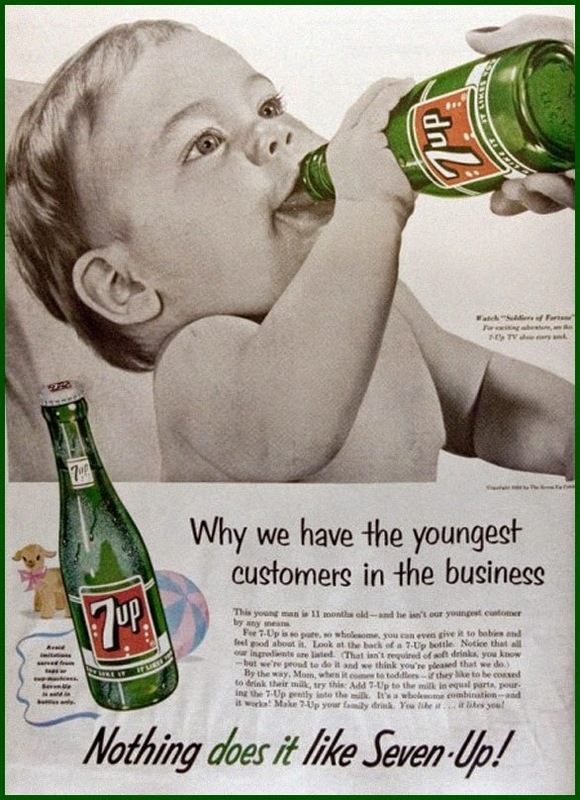 7up for babies, surely not! But Fry's chocolate is fine, one of my favourites - especially Fry's Cream as per the picture I have added to the bottom of the ad. 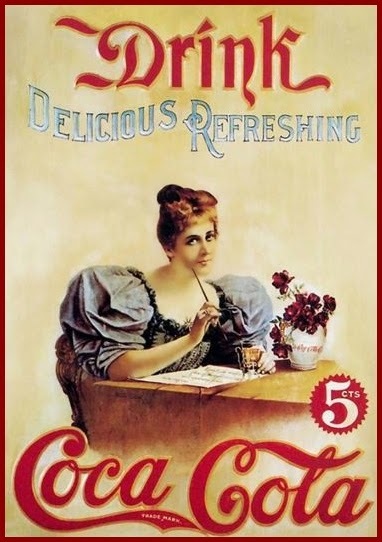 And back to the hard stuff - vintage Coca-Cola. May give you extra large shoulders! 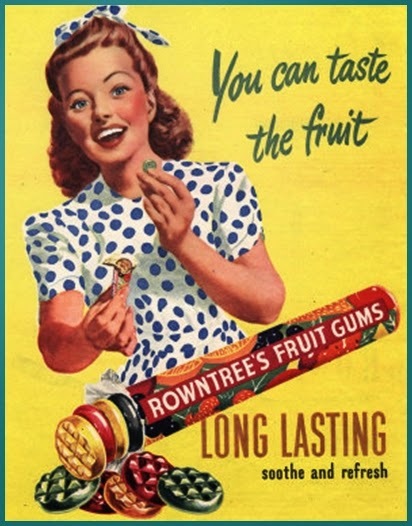 And finally for today, vintage Rowntree's Fruit Gums. I remember as a child we used to see how long we could make a gum last. Value for your pocket money that way! 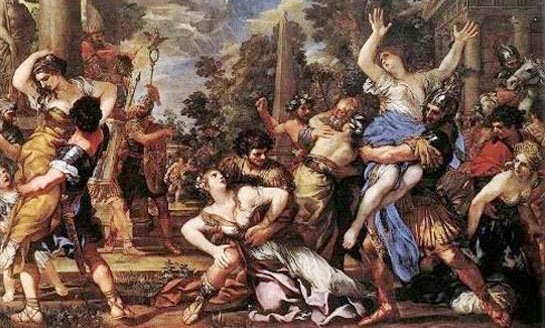 Way back, perhaps 1500 years ago, there was a festival of fertility rites: the Roman Lupercalia Festival. Much feasting, dancing and revelry, for want of a better word, went on. During the festival the names of virgin girls were put in a box and each boy drew out the name of a girl who would thenn be his, er, Valentine for the next 12 months. When Rome became a Christian city these sort of goings on were frowned upon. But help was at hand in the form of Pope Gelasius. 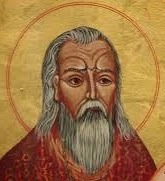 In AD 496 he declared St Valentine's Day in memory of Valentinus a priest martyred on that day (February 14th) for refusing to renounce Christianity. So we got our Valentine's Day in place of a Roman Festival that, by coincidence, was also held in February. The first 'official' valentine was said to have been sent on February 14th, 1415 by Charles, Duke of Orleans to his wife, while a prisoner in the Tower of London after the Battle of Agincourt. The love message was smuggled out to the Duchess and is now held in the British Museum. I seem to be trapped in 1950, what with all of those 1950 Flying Saucer sightings and today a news story of a coincidence from 4 April 1950. But there's no doubt worse places to be. 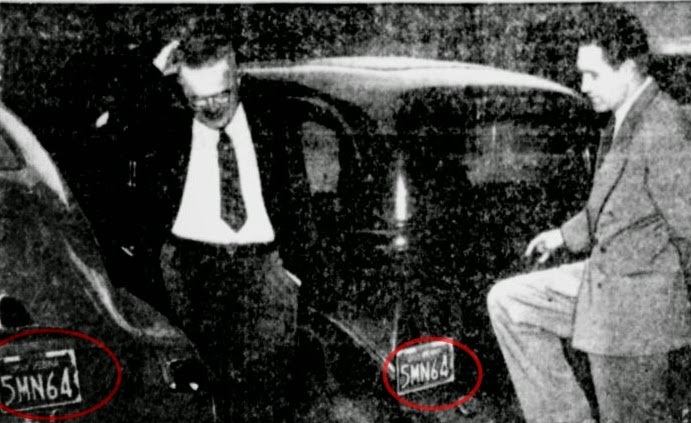 When the state of Pensylvania slipped up and issued two car owners the same number, it was just a coincidence that both men live in Johnstown. But Allen Koch and John Mugridge spotted the error at once. They're both employed at the veterans administration office and have adjoining spaces in the same parking! 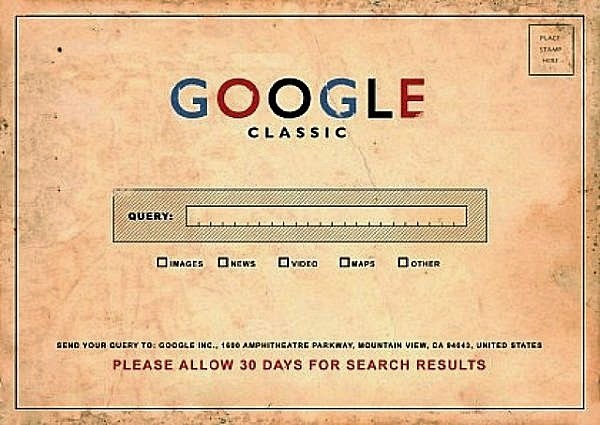 Of course things were a bit slower with Google in 1950 - and a postage stamp was required! The following small article in the St Petersburg Times from Nov 15, 1951 made me smile. 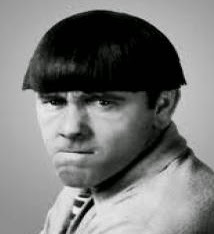 A rumoured rise in haircut prices - from $1.25 to $1.50 has virtually cleaned Detroit stores of home-style hair clippers. 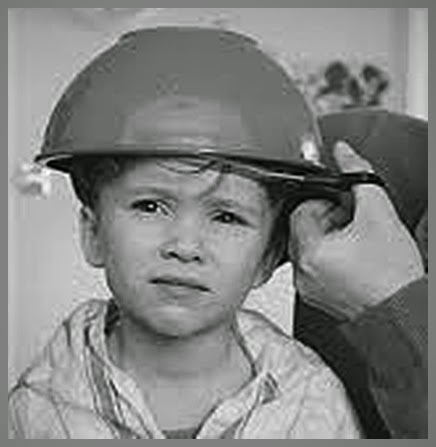 Maybe it's just a coincidence, but one store also reported a shortage of head-size butter crocks. A few glimpses of Cornwall. Starting off with the village of Mevagissey above. Next is the church in St Just-in-Roseland. It's said that Jesus may have visited the area. 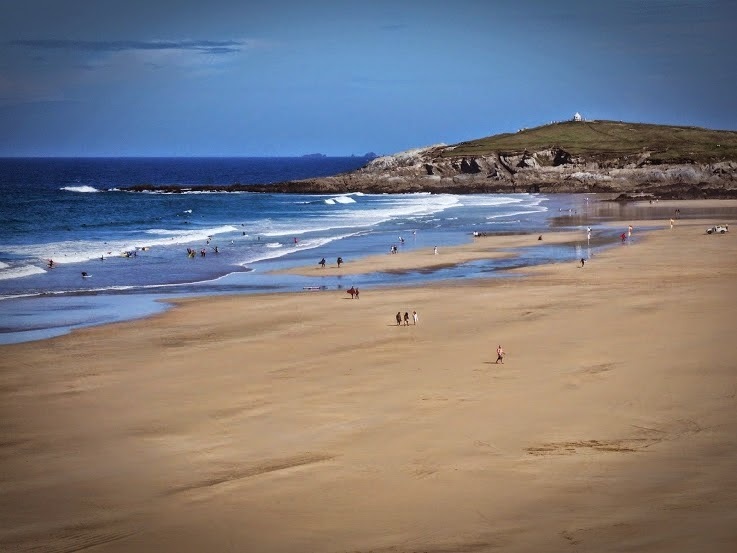 Below is Newquay Fistral beach, which gets very busy in summer. 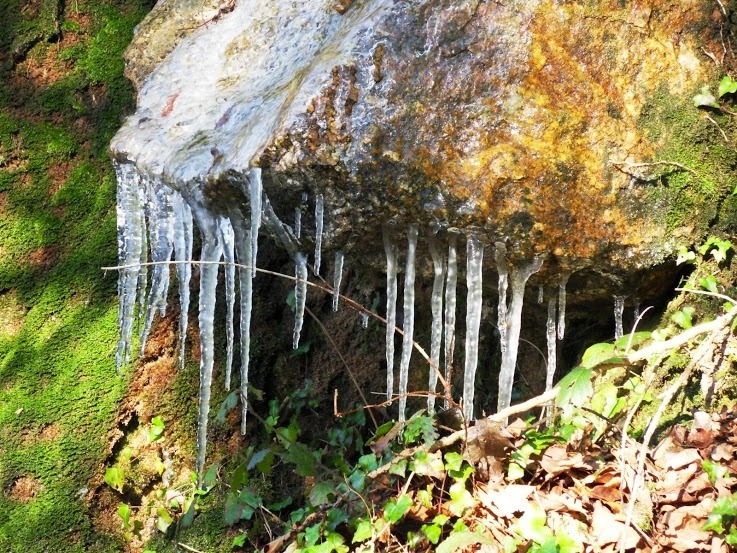 And to prove how cold it's been in Cornwall recently here are some icicles we saw when walking in Luxulyan Valley. 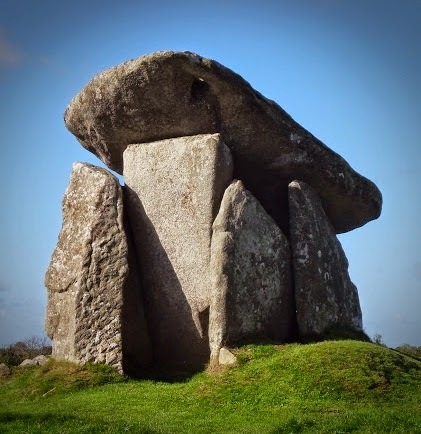 From about 3000 or more years ago is Trevethy Quoit - could well be older than Stonehenge. 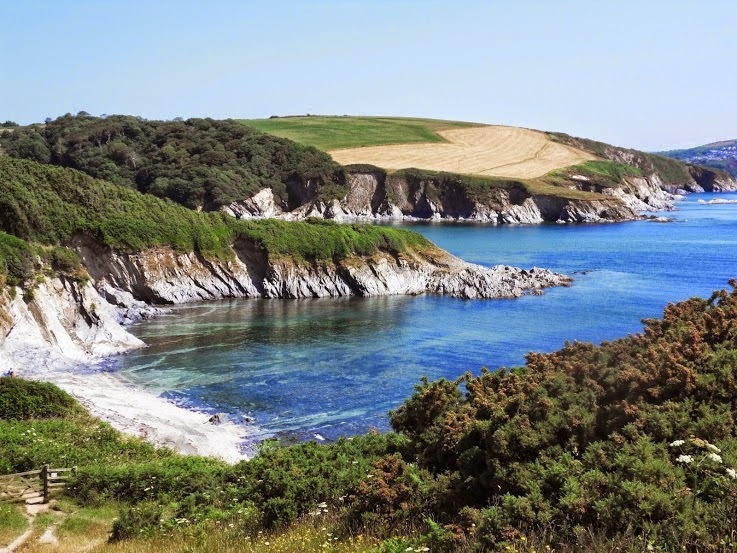 And finally for this week Pentewan Harbour. In the mid to late 1800s it would have been full of sailing ships ready to take Cornish tin and minerals all around the world. Today it's a peaceful village, though their is a holiday caravan park nearby.